I've always thought Sarah Alderson would make a phenomenal New Adult author and I wasn't wrong. Come Back to Me may rely on romance cliches during its first-half, but the growth, depth, and realistic love story within these pages completely won me over. Seriously, a definite must-read for those looking for a solid New Adult package that explores sexual awakenings, dealing with different responsibilities, and finding your path in the future. Its cover may scream "Nicholas Sparks" but the content within is far superior for sure. It became a ritual for me to scroll away from If Andy Warhol Had a Girlfriend. Somehow, the combination of its odd title, simplistic cover, and typical synopsis simply didn't appeal to me. Even when I finally picked it up, I did so with an immense amount of skepticism. Yet, If Andy Warhol Had a Girlfriend is a light, fun, immensely touching read about life, love, and the ups and downs we all cope with. Jane is the all-too-familiar protagonist who finds her boyfriend cheating and, in a state of broken-heart-ed-ness, finds herself traveling the world. While it's meant to be all business for Jane as she helps Ian, known as the art genius of their time, set up exhibits in major cities around the globe, it becomes an adventure in self-discovery and growth unlike any other. Everything I can possibly say about this novel is as typical and bland and familiar and cheesey as its cover and title and synopsis are, but, somehow, the words inside this book are not. Its authentic relationships--from friendships to family to work to love--are incredibly three-dimensional and oh-so-real. Just trust me on this one, reader: it's really, really good. 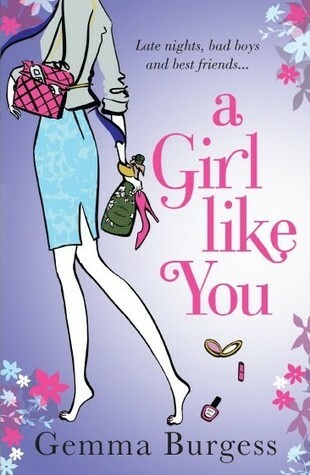 A Girl Like You is classic, unapologetic chick-lit--and I love it. Newly single Abigail is entering the dating world for the first time. Now, having broken up with her boyfriend of far too many years, Abigail is determined to find the right guy. Robert, her new flat-mate and a classic player, is the perfect candidate to coach her on the Art of Dating. From the beginning itself, Abigail's narration is honest, unassuming, and drop-dead hilarious. It's impossible not to become entirely embroiled in this romance, particularly as we witness Abigail stumble through bad dates, make the walk of shame, and finally become a Dating Guru. Within months, she has all the single guys of London eating out of her hand...but she still hasn't found the one. If you've seen or read even a half-dozen chick flicks, you already know by now who the love interest is but the journey from friendship to romance is long, charming, and oh-so-endearing. Seriously, this book will have you in peals of laughter one moment only to have you clutching your abdomen in tension the next but I can guarantee you this: you'll close this book with the most languid, lazy, and satisfied smile. 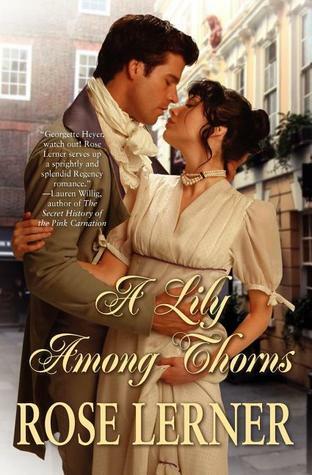 A Lily Among Thorns is an unconventional historical romance if there ever was one, but it's so, so good. Lady Serena, a prosperous woman in possession of her own inn, can never forget the life of prostitution she left behind to reach her current status. Nor can she forget Solomon, the drunken young gentleman who, instead of paying her for her services, simply gave her the means to start a new life. When Solomon knocks on Serena's door, seeking her help in retrieving a stolen heirloom, she doesn't hesitate to accept. Here, dear reader, is the start of a beautiful romance--only you nor the characters quite know it yet. Serena is tough-as-nails, having grown up fighting for not only her independence, but her own body as well, and as a result, getting past her barriers is practically impossible. Solomon, however, grieving his twin brothers death, content living the life of a mere merchant, and downright sweet, just may be the man to see the real Serena. Neither Serena nor Solomon is flawless, but their journey to love--battling through a sea of societal hatred for a former prostitute who is no longer putting out, a former friend who plans to claim Serena's inn for himself, and espionage--is unforgettable. I dare you not to fall in love with these characters yourself; just try. These all sounds like they were pretty solid reads! Thanks for all the great reviews! MODERN DAY MR. DARCY? I may just have been sold on Only With You. It sounds super cute and I am pretty sure I am going to love it as much as you did. I am so glad to see you enjoyed Come Back to Me as well and a 100% agree with your 'two minute' review for it. A Lily Among Thorns though? A 100% sold. I love my HR and this one definitely sounds right up my alley!!!! Hi, Keertana! Your reviews are great and thoughtful as always. 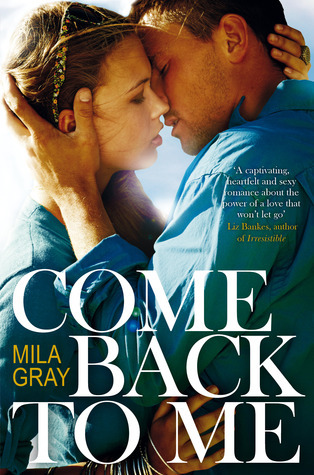 I liked Come Back to Me by Mila Gray too, but I wish that Sarah Alderson’s focus wasn’t entirely on the relationship between Jessa and Kit. It would be great if she explored family dynamic more (Jessa’s relationship with Riley and her father and family history with Kit’s father). My romance recommendations for you to try: Unravel by Calia Read (it’s psychological thriller with romance) and The Year We Fell Down by Sarina Bowen. Ooh, Only With You sounds adorable, even though Sophie isn't as clear-headed as Elizabeth Bennett (still, Mr. Darcy!). I still struggle with NA these days, though Come Back to Me sounds like it's worth an effort. I think I'd scroll away from Andy Worhol, too. Just not intriguing enough of a title or cover. HistRoms so I'm going to try out A Lily Among Thorns. Come Back to Me sounds interesting. I haven't read anything by Sarah yet. A Girl Like You sounds really fun- love a nice, humorous read! Whoa, Keertana! Look at you go! congrats on reading so many books! And I can definitely tell you're in a romance mood. haha Have you ever read anything by Lynn Kurland? I would highly recommend her books. Lovely reviews! omg these sound so good! I LOVE HATE TO LOVE ROMANCE (yay for female independence), CHICK LIT AND THE LAST HISTORICAL ROMANCE SOUNDS V INTERESTING. new books to read!! I have COME BACK TO ME on my shelf, yet I've held off on it because I really *did* think it was very Nicholas Sparks-esque. I'm sold though - despite romantic cliches! Oh I've gotten on a romance kick from time to time and these all look interesting. I haven't heard "If Andy Warhol Had a Girlfriend" and even though you seem to have a love/hate relationship with the book, I'm curious enough to try it!